According to former Deputy Prime Minister Musa Hitam in his book, “Frankly Speaking” there are three ways Malaysians can get rid of Prime Minister Najib Abdul Razak. The first is through UMNO, which Musa thinks is “near impossible”; the second is through foreign intervention which is a greater impossibility despite the much publicised scare tactics used by his supporters to whip up anti-American sentiment; and the third is for Malaysians to decide whether they want Najib out through the next general election. Musa omitted to mention a fourth way – the one which looks most likely to happen unless there is an extraordinary and unexpectedly rapid sequel to the IMDB and personal donation in the Prime Minister’s bank account controversies. This fourth and most foreseeable way is Najib’s decision to voluntarily step down from his position as Prime Minister and President of UMNO and hand over of the leadership reins of the nation and party to the current Deputy Prime Minister and UMNO Deputy President, Dato Seri Ahmad Zahid Hamidi. This decision may not take place immediately or even soon. But the odds are that BN and UMNO will not go into the next GE with Najib in charge and also that this decision will be made well before the election takes place. Hence, if the 14th GE is held in early 2018, expect the announcement of his retirement from politics to take place in early or mid 2017 at the latest. There are personal and strategic reasons why Najib will want to leave the leadership scene earlier than most observers are expecting, and contrary to his earlier promise to “never back down or surrender” in his battle over the twin scandals. First, he must be feeling a great sense of relief – if not euphoria – for what appears to be the engineering of a great escape from being charged for his role in the wrongdoing and criminal conduct engaged in by the perpetrators of the 1MDB crisis. Now that the authorities (Bank Negara, Attorney General, the Public Accounts Committee and MACC, with the Police also expected to follow suit once they complete their investigation) have cleared the Prime Minister – or in the case of the PAC, it has not definitively pinned the Prime Minister down for responsibility in the IMDB mess – UMNO and the mainstream media can argue that he is leaving office with his head held up high and honour intact. Although the insults and imputation continue, and the truth has not been forthcoming, a year later, along with his claim of innocence in any wrongdoing, he will also want to claim victory against his two political enemies, Dr. Mahathir and Tan Sri Muhyiddin Yassin whose efforts to dislodge him have produced the new party, Parti Pribumi Bersatu Malaysia. The more compelling reason for Najib’s decision to call it a day as Prime Minister is strategic. Foremost in the mind of Najib and UMNO leaders who have rallied behind him is the concern that PPBM may gain a strong footing among Malay voters. Despite downplaying the new party’s impact in public, it is apparent that UMNO’s leadership are nervously watching and analyzing how the new party may take away votes from UMNO leading to a tighter election outcome, and possible inroads into the party’s dominance in the next election. Such a development is more likely to happen should Najib decide to remain as the incumbent Prime Minister as he will be leading his party into the election with a massive cloud hanging over his head, and with the difficult to refute charge that he is leading a kleptocratic government, sure to dominate the election campaign. The voluntary resignation of Najib will pose a dilemma especially for Dr. Mahathir and Tan Sri Muhyiddin on what to do with their new party since the main objective in setting it up may appear to have been achieved. Does this mean that they will abandon their struggle to refashion Malay and Malaysian politics and return to the UMNO kleptocratic fold? Even if they decide to stay the course of political opposition, how can they woo the Malay public to vote for them instead of UMNO which does not have Najib at its helm? Prime Minister in waiting Zahid Hamidi is expected to take the Malays and Malaysia to higher heights of achievement and glory. The Prime Minister’s resignation well ahead of the election makes sense for Najib and UMNO. His successor as Prime Minister, Zahid, can then present himself to the voters as a leader who, accompanied by a suitably brand new slogan of reform and clean government, can take UMNO, the Malays and Malaysia to higher heights of achievement and glory. The shame, unresolved mess and financial black hole left by 1MDB and the mysterious “1MO” can then be ignored or isolated, and pushed into the far distance in the run up to the election, thus providing UMNO an easier path in its effort to maintain power. 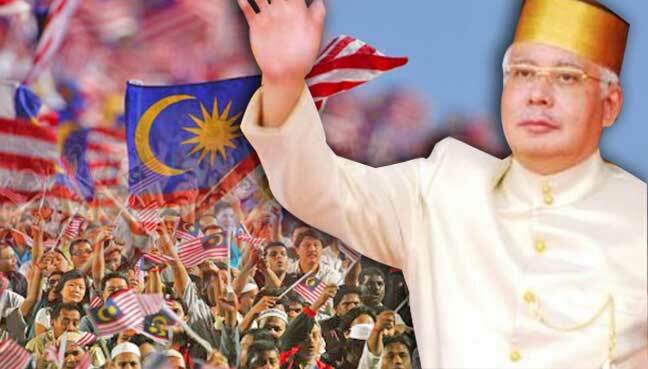 As for Najib, he will take comfort that, with the continuation of UMNO’s control of Parliament and Putrajaya, his name will appear in the official write up and history books as a true Malay and Malaysian warrior whose sacrifices and contribution to the country’s development overshadow whatever minor mistakes may have been made during his administration. This ‘heroic’ depiction would especially gain credence should a panel of doctors – in the way the 1MDB accounts have been audited – find the Prime Minister unable to continue with his duties for medical reasons and recommend his immediate retirement to safeguard his health. In the coming days, we can expect these stories of the Prime Minister, and even his wife, wishing to take up gardening and wanting to forget or get away from his own created nightmare of 1MDB to grow stronger. Hints of this impending scenario in the political affairs of the country have not appeared yet. But one faint indication is the Prime Minister’s recent disclosure that he will not disturb the leadership style of his successor especially by issuing various criticism openly after his retirement. Posted in 1MDB Financial Scandal, Corruption, Democracy, Governance, Kleptocracy, Leadership, Najib Razak, Politics, Public Accountability, Rosmah Mansor, Tun Dr. Mahathir Mohamad, UMNO, UMNO Politics. How would you react if our PM fainted in public? Kee, Sad Merdeka Day for me because our country is in the deep dumps after 50 Plus Years under UMNO Rule. You know my answer to your Question. 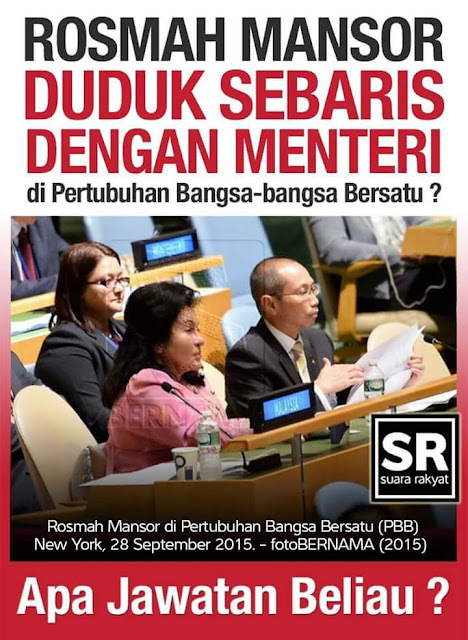 We must incessantly apply pressure on Malaysian Official 1. 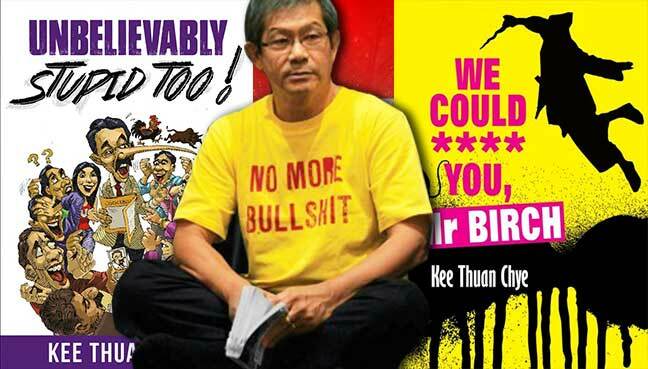 We can no longer allow him and his UMNO cohorts to act with impunity. I have never been under a more dishonest, corrupt, greedy, hedonistic, and lying Prime Minister in my life. I am now 77 years old. When we got independence in 1957, thanks to YTM Tunku Abdul Rahman Putra Al-Haj, I was 18 year’s old. It is pains me to see what our country has become. I’m going to be cheeky and wonder what the reaction would be among the Malaysian public if Prime Minister Najib Abdul Razak should take ill in the middle of a public function. As you know, this happened to Singapore’s Prime Minister, Lee Hsien Loong, last week (on August 21) when he spoke at the island nation’s 51st National Day rally. He stopped in mid-speech and looked blank-faced for 10 seconds; the symptom seemed to indicate a stroke attack. He was assisted offstage for medical attention. But after he was examined, he was pronounced to be all right. An official report said what he had suffered was merely the result of prolonged standing, heat and dehydration. Lee returned to the hall more than an hour later to continue his speech, and appeared in good humour. He got loud cheers and a warm standing ovation and, as reported in the media, thousands of well-wishers expressed relief on social media. No doubt many in the audience were ruling party supporters, loyal civil servants, fans of the PM, but you got the feeling that there was great concern for Lee when the incident occurred. Outside of the hall, Singapore social media was abuzz with messages expressing shock, wondering if Lee’s condition was serious, worrying that it might be and extending prayers for his well-being. Hahaha! Not very civil, is it? But hey, given the mess the country is in today because of MO1 and 1MDB, if that’s how you feel, that’s how you feel. After all, Najib himself is aware of his ‘popularity’. He admitted to an interviewee recently that he felt hurt reading comments on Facebook. “When it hurts too much, I don’t want to read them any more,” he said. And he actually laughed about it. There is clearly a marked difference in the degree of respect for leaders among Malaysians and Singaporeans. You may say that Singaporeans have been conditioned into showing respect and admiration for their leaders through state-instituted propaganda, but I would say that Malaysians have also been similarly conditioned. In fact, in our case, there is the double whammy of feudalism which connotes that the leader is always right – and that is so ingrained in our psyche, it is harder to shake off. I believe Singaporeans respect and admire their leaders for a real and better reason – their leaders manage their country well and there are not many signs of blatant corruption. So, even while someone like the late former PM Lee Kuan Yew (LKY) is perceived to have ruled with an iron fist and shown disregard for human rights – by, for example, killing the careers of those who stood in his way – when he died last year, more than a million people paid their last respects as his body lay in state. I was in Singapore then and I saw the crazily long queues heading towards Parliament House to say goodbye to LKY. Some people reportedly queued for as long as eight hours! I think that summarises the general Singaporean sentiment about LKY. My Singaporean brother-in-law wept when he bowed to the coffin of the man who helmed the island’s development from Third World backwater with no natural resources to prosperous First World state. By comparison, Malaysia, which has abundant natural resources, is struggling to become a high-income nation in 2020, and even so, despite Najib’s assurances, many of us doubt we will make it by then. I have a sneaking suspicion that our own former Prime Minister Dr Mahathir Mohamad is hoping for that same level of reverence that LKY got when he himself passes on. That explains why he is so desperately trying to win Malaysian hearts and minds in the last year or so by saying things that the public wants to hear but which contradict his own practices while he was PM. He has evenuncharacteristically apologised for curbing way back in 1994 the king’s powers in ratifying laws passed by Parliament. While Singapore has built up a world-class education system, Malaysia is lowering passing marks for Sijil Pelajaran Malaysia (SPM) subjects. Malaysia’s policies and practices have been tainted by considerations other than national development. These have spawned a crony culture that leaks public money and resources into undeserving hands. They have also created a rent-seeking culture that strains the system and dampens competitiveness. And now, with 1MDB exposed, we are also a confirmed kleptocracy. Last Sunday, we saw a rally staged by students calling on the people to ‘Tangkap MO1’. In no uncertain terms, the protesters referred to MO1 by name as Najib Razak, the Malaysian official who was revealed by the United States Department of Justice as the alleged recipient of billions of ringgit siphoned illegally from 1MDB. That’s how much ‘respect’ we have for our PM. So, I guess I’m not being cheeky after all. But don’t get me wrong. I’m not wishing that Najib will take ill in public – not at all – but if it does happen, I wouldn’t be surprised if the partying mood ran high. Posted in ASEAN, civil society issues, Corruption, Democracy, Freedom, Governance, History, Kleptocracy, Leadership, Malaysia, Najib Razak, Politics, Racial Discrimination, Religion, Rule of Law, The Malays, UMNO. There are places in Sabah where children wake up at 3.30am to go to school.And start walking there at 4.30am. They are not your average students who are picked up from one door to be delivered to another. Once, we drove past a few children and asked, “Berapa jauh lagi kampung?” to a reply, “Tak jauh sudah, dekat saja tu.” Their “dekat” took us another hour in our 4×4 to reach. I remember asking the driver about some colourful shoes I saw lined up outside a classroom. Only to be told that they were originally white but had turned pink, brown and shades of orange after going through the dusty, muddy, unlit roads day after day. The school was essentially a building on stilts with an unkept area, long grass and rusty goalpost for a playing field, a rundown shack as canteen… and electricity is supplied by a diesel-run generator. There are villages where the elderly and sick need to walk for hours to the nearest clinic, when and if they can walk. They have an “ambulance”, well… sort of, that is available 24 hours a day, 7 days a week depending on whether it’s well fed on grass and greens. Where resilient, tolerant and very patient people feed their children rice and salt. And a “good” meal consists of rice, one fish, a plate of vegetables shared by a “small” family of five. And eating, working and studying by candlelight is a not a romantic novelty or pastime. Two Defective Peas in a rotten pod–Kulup and Najib Razak: Role Models for Young Malays? A place where 1Malaysia laptops are carried proudly, like you would a Birkin or Hermes handbag. Expensive. With pride. Never mind that they they can’t turn it on because it can’t be charged, or that the mobile reception is patchy. Even more baffling is that many of them can’t even read or write. A place a few hundred ringgit would actually tide them over for months. Where the number of zeroes in a billion USD is lost after the first few, and the United States is another foreign land that most of them will not see except in movies this lifetime. When asked about the importance of English, they say, “Penting. Tapi kita orang Malaysia bah. Bahasa Malaysia pun cukup.” A statement that would make many politicians proud. But on that note, let’s digress a bit. A former Universiti Malaya Vice-Chancellor said not too long ago that the private sector prefers hiring graduates from private universities and colleges. Now, believe it or not, English opens up opportunities to Malaysians, and offers them a world of possibilities. In a survey by a leading online job search site about 60 per cent of unemployed graduates fail to land a job due to poor command of English. Can you believe it? It’s just English. Just, English. And our youth aren’t realising their full potential because of a language. And with their potential goes national growth and progress. Why can’t we, as a nation, get this right? And with the answer lies the problem. We don’t think of and for the nation. We think along political, racial and sentimental lines. And that is alright, truly, if what we want is confine the work of our youth to their villages and small towns. But if you want them to soar, to grow, to learn and become world leaders, if you want them to develop their villages into technological hubs, and attract multinational companies offering better job prospects, and if, just if, you really, truly want to put Bahasa Malaysia, Melayu ― whatever you call it ― on the map, you need English. Yes, the Japanese, Koreans made it without English because they are by and large creative, innovative people. They redefined existing industries. They revolutionised the electronics, automotive industries into one that is better, more efficient, beautiful and cheap. Today, the world goes to them to learn the best practice and approach in designing and manufacturing products. So, yes, they thrived without English. But we are neither the Koreans nor the Japanese. The only industry we are redefining and making an impression in, is the religious industry. And until the world starts using coconuts to find missing planes, treat multiple diseases with our “miracle waters”, and treat mass hysteria with vinegar and lime, we aren’t worth that much to the world. And till then, we need English. Our leaders need to start thinking about what is best for Malaysia and her people. Instead of what is best for the Malays. The Chinese. The Indians. They need to rise above their race, religion, politics, their village and avid supporters. They need to think about the nation and beyond. They need to lead. Not follow.Because what is best for each race is not necessarily what’s best for the country. What is best for Malaysia otherwise, is best for Malaysians. So as we celebrate Merdeka, it would be good to remember that our nation’s interest supersedes that of the Prime Minister, members of the Cabinet, their wives and their families. It supersedes the survival of any race and political affiliation. No matter their worth and past contribution. Their survival or extinction must not have any consequences on Malaysia. The politics of sentiment should never cloud our judgement when deciding what’s best for the country. While politicians might want to keep as many of us happy as they can with 1Malaysia laptops and all that it entails, that is not the country and future we deserve. It is certainly not the independent Malaysia our forefathers envisioned. Underneath the aspiration, dreams and values that define us as a nation lies the foundation of a great country. A foundation that is built upon the freedom and right of people to live, speak and practise their beliefs no matter their religion and skin colour. That is the essence, the soul, the pride and joy of a country that is truly liberal, truly democratic and truly Merdeka. One that should and must be jealously guarded, defended by every individual who calls himself or herself a Malaysian. Posted in 1MDB Financial Scandal, Corruption, Democracy, Ethics, Governance, Justice, Kleptocracy, Language, Leadership, Malay Fascists, Money Laundering, National Unity, Politics, Racial Discrimination, Racism, UMNO. I remember years ago when I used to sit with my dad, at sharp 8pm in our living room, every day, in front of the television, talking about the nation, corruption, development. He was such a good father to me – he told me everything he knew, explained to me every single detail of every single issue that was broadcasted in the news. He taught me to think carefully, and to judge rationally without bias. And that was when I was only 12 years old. Today, all grown up, that scene still takes place, but of course our conversations are more excited. I am more mature now, so I have the ability to sometimes counter his arguments. I am more objective now too – he throws, I reply, without emotion, only logic and with rationale. We are both eager to turn our arguments into friendly debates. He speaks a lot about our nation, and sometimes to illustrate a point, will recall some memory or event that took place even before I born. In this way, he presents to me the root causes of certain issues such as the amendment of the constitution that resulted in the loss of control of Borneo’s state over the 18/20 Sabah-Sarawak agreement, and also the downgrade of Sarawak’s status as equal partner in the formation of Malaysia, just to name a few. He taught me almost everything I know about our country. He moulded my spirit of nationalism, taught me what being an upright citizen meant as well as a proud Sarawakian, and Malaysian. My spirit of patriotism was naturally rooted at home, without force from authority and without formal learning in school. And that spirit has never faded, not even a little, whether in moments of joy or hardship, happiness or difficulty. I have remained patriotic in the face of so many injustices, discrimination, bigotry, power abuses, and the marginalisation of my state from development. Rather than use these to support the pulling out of Sarawak from the federation, I prefer to think about how to resolve these issues and remain hopeful that the story of devolution of power will have a happy ending. If prominent Fa Abdul regards Haris Ibrahim as her idol, I have my wise father. If she is amazed by her superman’s dedication to the nation, the same goes to me with regard to my father. He made me believe that father-son relationships could be a great force behind nationalism. He made me realise that parents also contribute to the spirit of nationalism in their children. Of course I will do the same for my son or daughter tomorrow. Because that is what I should do – be a good dad, just like my good dad. Yes, truthfully, parents play a big role in growing the seeds of nationalism and patriotism in their children. More than just flapping flags on their vehicles or homes, citizens should fully understand what Independence means, the power of freedom, and the contributions of our forefathers in building this nation. And parents should shoulder this responsibility too. Teach your children what it means to be a proud Malaysians. Teach them the true spirit of patriotism, and how to keep that spirit strong through the good times and the bad, the country’s ups and the country’s downs. Teach them with a pure heart, without talk of conspiracies and without being hypocritical. Tell them there are many ways to show our spirit of patriotism. It is not necessary to join a cause or go to war. We can defend our country either economically or socially. Study hard, be a productive youth, do not insult others of different ethnicities and respect those of other faiths. Being a concerned citizen is also another way to show our spirit of patriotism. Open our children’s eyes, their minds, their hearts. Let them learn how to determine what is right or wrong. Let them actively participate in the country’s process of democracy. Tell them that obeying a so-called leader does not mean you are patriotic neither does supporting the Opposition mean you are a traitor. It’s very simple – just like my father did, talk and explain, speak honestly, tell them everything with patience, without being a bore. Treat them the way you expect to see them behave someday. Oh, maybe that is why my father eagerly told me the story of our nation. I have to thank him for that! Oh, one more thing, this August 31 is the 59th birthday of the Federation of Malaya, the 53rd for Sabah, but not for Sarawak. We celebrated it already on July 22. Happy Independence Day to my fellow Malaysians. Nickolas Pius Matu is an FMT reader. Posted in 1MDB Financial Scandal, civil society issues, Corruption, Human Rights, Kleptocracy, Leadership, Money Laundering, Najib Razak, Politics, Racial Discrimination, Racism, Rule of Law, The Malays, UMNO. 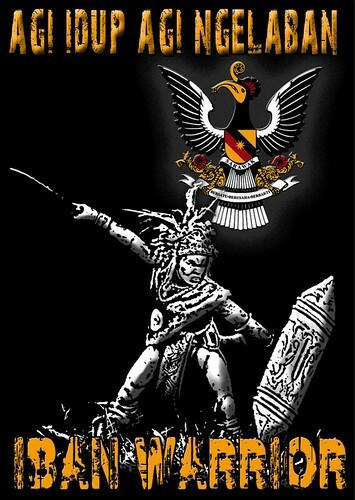 Kobkua Suwannathat-Pian,: A Story of the Socio-Political Development of Malay Kingship. Singapore: NUS Press, 2011. Pp. xxiv, 472; map, tables, figures, photographs, list of abbreviations and acronyms, glossary, notes, bibliography, index. On 6 February 2009, approximately 3,000 Malays protested in the royal town of Kuala Kangsar, demanding that the Perak ruler, Sultan Azlan Shah, dismiss the state’s legislative assembly to pave the way for new state elections. Earlier, Malaysia’s then Deputy Prime Minister Najib Razak had extra-constitutionally toppled the popularly elected Pakatan Rakyat state government with the complicity of Perak’s royals. Never in Malaysian history had there been such a popular uprising against Malay royals as the ensuing protests. This video provides a hint of the likelihood that in a new Malaysia the most significant threat to the Malay rulers’ fetish for power will come not from the United Malays National Organisation (UMNO) but from ordinary Malays. Kobkua Suwannathat-Pian serves as professor of history and senior fellow in the Faculty of Social Sciences and Humanities of the Universiti Pendidikan Sultan Idris. She ranks among the most renowned and respected historians of modern Thailand. The latest of her many books, Palace, Political Party and Power: A story of the Socio-Political Development of Malay Kingship, sees her turn her attention to the history of modern Malaysia to provide a cogent analysis of the relationship between UMNO and the Malay rulers in their common quest for power. The book’s timing is opportune, as it comes at a moment at which each of these institutions, UMNO and Malay kingship, confronts a decline in its legitimacy within a seriously divided Malay community. 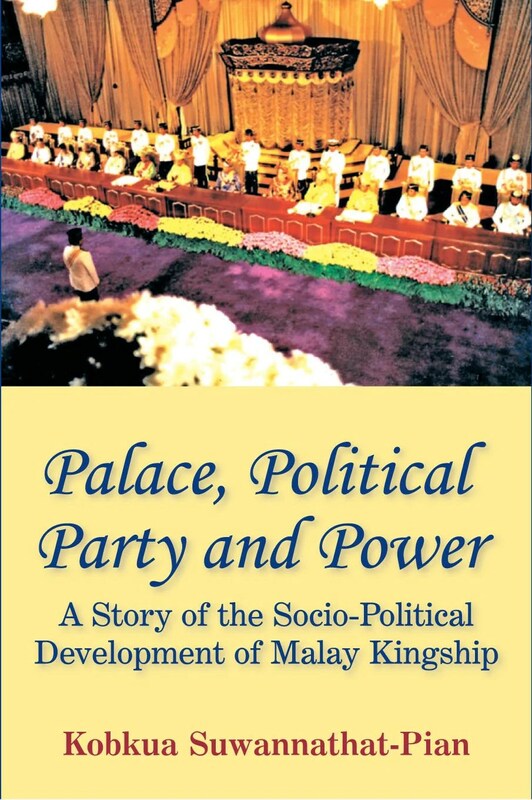 Palace, Political Party and Power represents a valuable addition to the literature not only on the relationship between the Malay rulers and UMNO, but also on that between the Malay rulers and UMNO on the one hand and their “subjects” – the Malays of Peninsular Malaysia – on the other. Even more significantly, it treats an important and neglected dimension of Malaysian politics – the impact of the Malay rulers on the country’s affairs. Palace, Political Party and Power traces the socio-political development of the institution of Malay rulership, from the beginning of colonial times, when the Malay rulers lost power but not prestige; through the Japanese Occupation, when they lost both; to the restoration of the rulers’ prestige – thanks to the new Malay elites – at independence; and in the ebbs and flows since. In narrating this story, the book achieves three principal ends. First, it reaffirms conventional analysis holding that the British residential system in colonial Malaya had great significance in modernising the institution of Malay rulership towards the constitutional monarchy of today’s Malaysia. Second, it argues persuasively that it was the Japanese Occupation of Malaya that provided the platform for new Malay elites – whose members would become the leading lights of UMNO – to take the leadership of the Malay masses away from the Malay rulers but in the process also to restore the prestige of those rulers. Third, and most important, almost seventy percent of Palace, Political Party and Power focuses on the complex relationship – one of competition for and cooperation in power – between the country’s two leading Malay institutions, UMNO and the rulers. Pian’s central argument is that the Japanese Occupation of Malaya and Japanese policies towards the Malay rulers, the new Malay elites, and the Malay community had, more than any other factor, the effect of stripping the Malay royal institution of its “aura”, “mystique”, “grandeur” and “authority.” In consequence, Malay rulership no longer commanded the fear or undisputed reverence of members of the post-1945 Malay elite. Malaya’s Japanese occupiers, through their treatment of the Malay rulers, revealed those rulers’ impotence, their inability to defend themselves, and also their lack of the capacity to defend the interests of their subjects – the rakyat. This reality made clear to the burgeoning new Malay elite, which the Japanese also developed, that the existence of Malay royal institutions depended very much on the good will of those in power. It provided that new elite with a valuable lesson for dealing with difficult members of the royalty during the post-1945 period. Furthermore, the book argues, Japan’s policy of inculcating Malay society with a certain variant of Japanese values through education had the unintended effect of strengthening the Malays as one community, sharing one language and one religion. Many Malay youths were sent to schools – ordinary schools, teacher training schools, and leadership schools (kurenjo). In the leadership schools, Malay students were taught by means of an exhausting daily routine to appreciate and to live by Nippon seishin, or the Japanese spirit. This exposure to Japanese values had the profound effect of changing some Malays’ outlook on life, and above all of exorcising the narrow socio-political parochialism that had previously divided the Malays into subjects of different rulers owing allegiance to different sultanates. The Japanese Occupation of Malaya also toughened members of the new Malay elite, as both the British and the Malay rulers would learn so dramatically after Imperial Japan’s defeat. Pian develops her arguments over nine chapters, in essence covering two periods: that before the establishment of UMNO in 1946 and that after the party’s establishment. The first chapter provides a brief introduction to the concept of monarchy and locates the Malay rulers within the history and among the fortunes of monarchs in post-colonial developing nations. While many monarchs lost their titles, the monarchs of the newly minted Federated States of Malaya gained a new title in 1957. With the addition of the elected Supreme Head of State or Yang DiPertuan Agung to the nine existing rulers of Malay states, Malaya became the country with the greatest number of constitutional rulers in the world, ten in all. The second and the third chapters of the book discuss the abject state of the Malay rulers as of the middle of the last century. They narrate the story of the social-political decline that the rulers suffered first under British colonial rule and then under the Japanese Occupation. Chapters Four through Eight discuss the tug of war between the Malay rulers and UMNO to define the de facto and de jure roles of constitutional monarchs in independent Malaya/Malaysia, and Chapter Nine concludes the book. 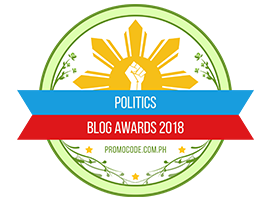 In its research, Palace, Political Party and Power is all that one would expect from Pian. She has scoured archives and other holdings at the Public Record Office and the library of School of Oriental and African Studies in London, the Rhodes House library at Oxford, and the National Library of Singapore and the library of the Institute of Southeast Asian Studies (ISEAS), as well as archival holdings in Malaysia itself. She demonstrates real courage in writing about Malay monarchy and UMNO in a true academic fashion; she proves herself objective in the context of a public university in Malaysia. Unlike the general brood of academicians that fill Malaysia’s public university system, Kobkua Suwannathat-Pian is no UMNO or royalist sycophant. Palace, Political Party and Power suggests that, if the contest between UMNO and the Malay rulers were a boxing match, then UMNO would be leading after four rounds but facing uncertainty in the remaining rounds and the serious possibility of losing the bout. For UMNO’s legitimacy as the protector of the Malays is declining faster than that of the Malay rulers. We may divide the contest between UMNO and the Malay rulers up to now into four clear chronological rounds. Round One, circa 1946, centred on the issue of Malayan Union. It was a draw, as the Malay rulers, UMNO and Malay subjects rallied together in the common cause of protecting the rights of the rulers. Round Two, roughly 1948 – 1951, was focused on the powers of the new Malay elite, represented by UMNO. Throttling the ascendancy of UMNO, the monarchs clearly won that round. Round Three was the 1951 – 1955 Merdeka negotiations, and it went to UMNO. And Round Four brought UMNO victory in 1983/84 and 1993/94. It left UMNO the supreme power in the land. This bout’s fifth round is currently being fought. There is no clear winner yet, but the Malay rulers have come back very strong. In discussing the factors that explain the success of the constitutional relationship between the Malay rulers and the executive leadership of the country, Palace, Political Party and Power suggests three: the strong political power of the chief executive, the personal prestige of the chief executive vis-├а-vis the rulers, and personal attributes of the men who have occupied these positions. Adding to these three factors was of course the legitimacy of the Malay rulers and UMNO’s leaders, respectively, in the eyes of the rakyat. A King is a King, whether he is an absolute or constitutional monarch. The only difference between the two is that whereas one has unlimited powers, the other’s powers are defined by the Constitution. But it is a mistake to think that the role of the King, likethat of a President, is confined to what is laid down by the Constitution. His role far exceeds those constitutional provisions. Another example of the way in which Kobkua Suwannathat-Pian frames her analysis is the comparison of Westminster-style constitutional monarchy, which emphasis the non-political nature of the monarchy, with the “Southeast Asian” model of constitutional monarchy, best represented by the current Thai king. The Southeast Asian model follows in form the Westminster-type model, whereby the monarch delegates all powers to the people’s representatives. However, in practise, the modern Southeast Asian monarch reserves the ultimate extra-constitutional power to interpret, intervene, reject or direct a course of action in affairs of state. This line of analysis is, however, very narrow in its usefulness. It misses the central feature of Malaysia’s system of government. Malaysia is a constitutional monarchy only in name. The wording of the country’s constitution has been amended more than 650 times; 42 amendment bills have been passed. In fact, Malaysia is a dysfunctional democracy, in which the ruling UMNO enjoys disproportionate power relative to all other institutions. In the political science literature, Malaysia is conceptualised not as a democracy but as a semi-democracy, neither democratic nor authoritarian, a syncretistic, repressive-responsive and electoral one-party state. In this context, the relationship between UMNO and the Malay rulers takes on a different meaning. 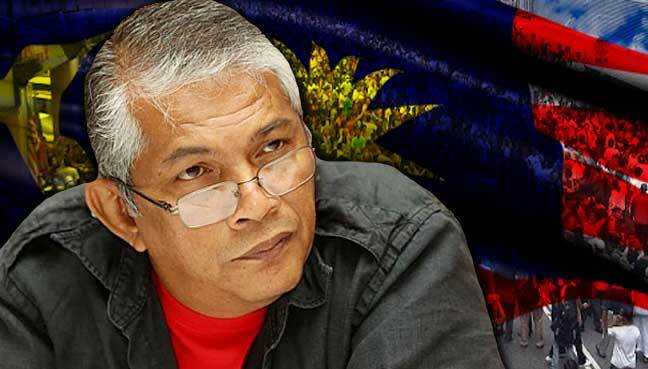 It is not a contest over interpretation of the constitution so much as one over UMNO’s ability to hold hegemonic power. Furthermore, a Westminster model works best in a non-feudal society, whereas Malaysian society remains feudal. These realities notwithstanding, it would nevertheless be interesting to know if Malay rulers like Sultan Azlan Shah indeed see themselves operating according to Kobkua Suwannathat-Pian’s Southeast Asian model of kingship. To frame the relationship between UMNO and the rulers in terms of a quest for power turns the focus to legitimacy: first, the legitimacy of the actions of UMNO and the Malay rulers in the eyes of the rakyat and, second, UMNO’s legitimation of its actions through the use and abuse of the Malay rulers as the party made itself Malaysia’s most powerful institution. In this context, Palace, Political Party and Power overlooks an important event in Malaysian history, one that solidified UMNO’s position as the pinnacle organisation in Malaysian society. This event was the 1988 sacking of Malaysia’s Lord President, Tun Salleh Abbas; the subsequent emasculation of the country’s judiciary; and the complicity in these events of the then Agung, Sultan Mahmud Iskandar Shah of Johor. A more recent example of the power of UMNO, one not treated in detail in the book but described in the opening paragraph of this review, was its toppling of a popularly elected state government with the support of the Malay ruler. The book also neglects numerous cases of UMNO’s use of the Malay rulers to curtail the civil liberties of Malaysians. An analytical framework centered on UMNO’s quest for ultimate power makes possible also a coherent explanation for the increasingly common appeal of various political organisations and civil society movements to the Malay rulers – namely the Yang Di-Pertuan Agung – in such causes as free and fair elections, protection of the rights of Malaysian Indians or of Malay language rights, and others. These appeals have come despite the Malaysian monarchy’s limited de jure and de facto powers and its blemished track record. The reason for them is that, when virtually all other institutions in Malaysia are either weak or UMNO proxies or both, only the Malay rulers, with their interest in protecting and furthering their own interests, offer a glimmer of hope against the excess of Malaysia’s true monarchs – the UMNOputras. Palace, Political Party and Power notes that, by the end of 2008, the Malay rulers’ stature was definitely on the rise. That would seem to remain the case as long as UMNO’s political leadership continued to be ineffective. The events of 6 February 2009 showed, however, just how vulnerable the Malay rulers are. Sultan Azlan Shah and the Perak regent Raja Nazrin (now Sultan) heralded in this book as examples of a new breed of monarchs who are competent and have the interest of the rakyat at heart, are now treated as outcasts by a significant number of people in their own state of Perak and by Malaysians in general. The Malay rulers’ long-term challenge is not besting UMNO but rather winning the hearts of Malays, Malays who are increasingly shedding their feudalistic mindset. Greg Lopez is New Mandala’s Malaysia editor, and a PhD scholar at the Crawford School of Economics and Government of the Australian National University. Martin Jalleh, 2011. “Of Raja Nazrin, Real Stories & Regal Rhetoric,” Malaysia Today, 27 July (http://malaysia-today.net/mtcolumns/guest-columnists/42378-of-raja-nazrin-real-stories-a-regal-rhetoric , accessed 27 July 2011). Zainon Ahmand and Liew-Ann Phang, “The all powerful executive”, The Sun, 8 April (http://www.perdana.org.my/emagazine/2011/04/the-sun-the-all-powerful-executive/, accessed 1 August 2011). Posted in Book Review, Books, Governance, History, Politics, Rule of Law, The Consitution, The Malays, UMNO, UMNO Politics.